After a few weeks of insect-centric posts, I decided to return to the place of my ancient ancestors, the ocean, for some cool marine (well, more like brackish) arthropods. I found myself in south Louisiana’s Rockefeller wildlife refuge. This refuge contains a large area of marshland with a main road which cuts through it, allowing access to visitors to the water. Like me, most visitors who go to Rockefeller have arthropods on their mind. However, their goals are a bit different; they go there for the crabbing. 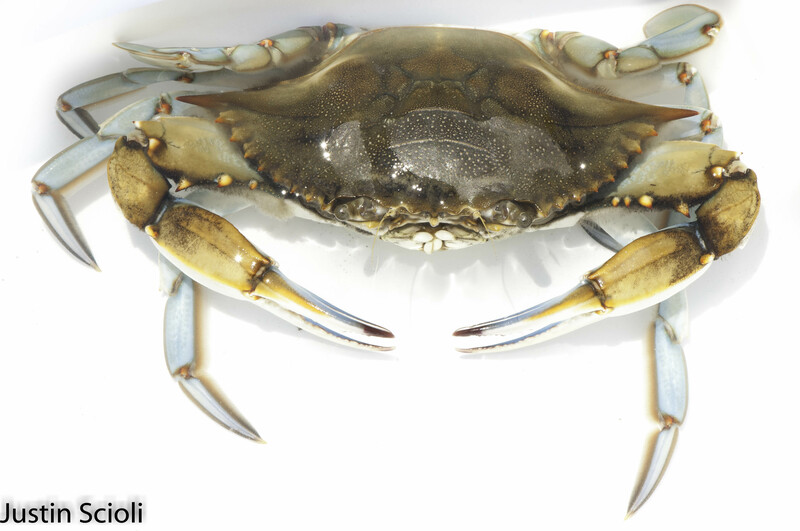 In the waters of the reserve is a large population of blue crabs (Callinectes sapidus), an American culinary favorite from the Atlantic and gulf coasts. 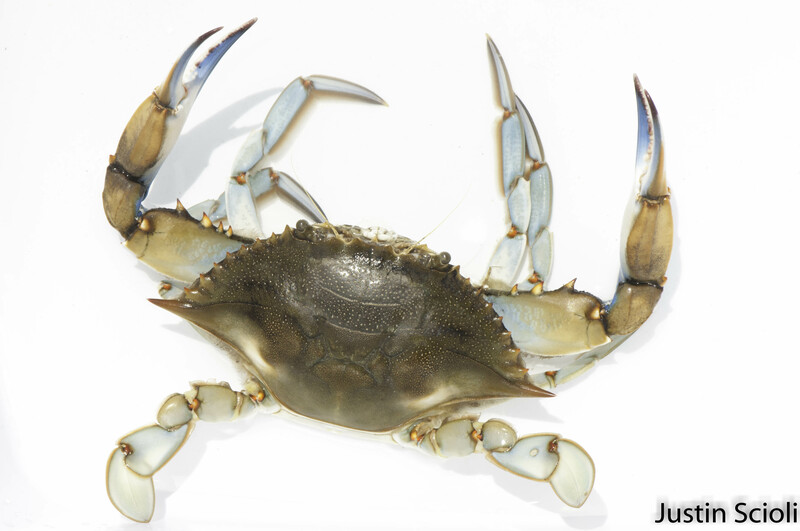 The crabs are so abundant, that the daily catch limit per visitor in the refuge is 144 individuals! 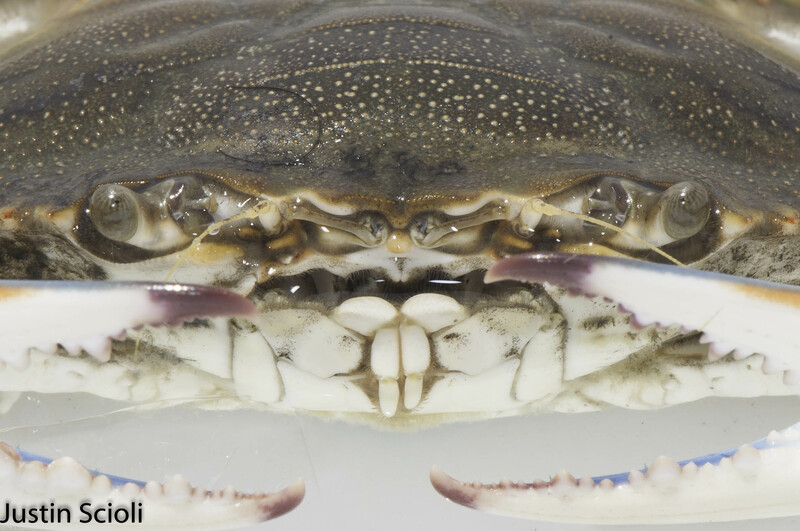 This species falls in the large family Portunidae, the swimming crabs, which are characterized by the flattened dactylus of the fifth pereopod (walking leg), as seen in the photos above. These legs have been modified for swimming, leading to the naming of the genus Callinectes (Latin for beautiful swimmer). 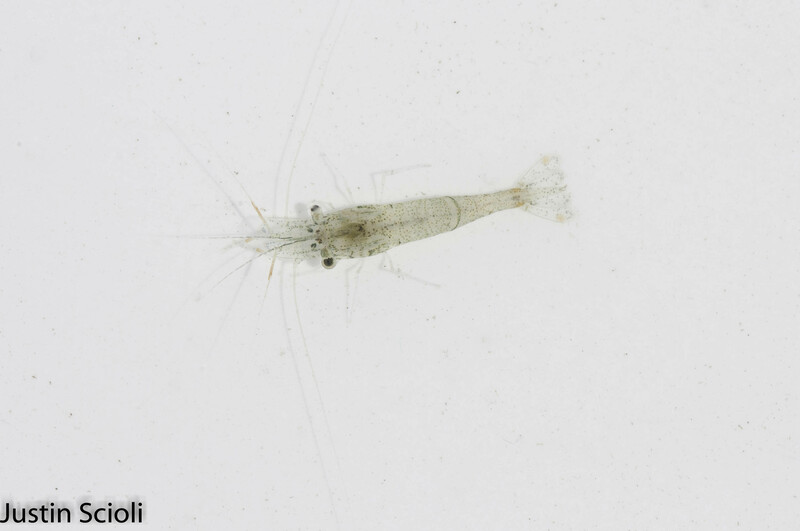 The grass shrimp, Palaemonetes sp. As a Decapod bonus, I also saw this small grass shrimp (genus Palaemonetes). This shrimp, like the Scarites beetle I posted about a few months ago, has taught me an important lesson about photography with the intent of identification. I did not take any photos from the side of this animal, as I was using a white dish washing tub for photography, but the important distinguishing characters of the five (!) different Palaemonetes species in this region involve the dentition of the rostrum, not visible in any of my pictures. As they say, when you lose, don’t lose the lesson- and I haven’t lost the lesson to shoot the underside of the beetle and the side of the shrimp!